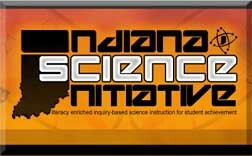 In 2008, working with the National Science Resource Center (NSRC), Indiana Life Science partners formed the Indiana Strategic Planning Committee for Science Education and developed a plan for science education reform. The model developed is based on research supporting the benefits of inquiry-based instruction, which allows students to explore and problem solve to develop deep knowledge and understanding of concepts, not just in science but every academic subject. In the classroom, students are engaged and excited as they work on science explorations independently and in collaboration with their peers. In February 2010, a summit was held at Eli Lilly and Company to kick off the reform effort in Indiana and to introduce Indiana's plan for implementation in school districts across the state. Regional meetings have taken place and committees have formed to establish the pilot program in their school districts. Each region is reaching out to their stakeholders to become advocates for the reform. It is important to engage all areas of the spectrum so that the plan is successful in all regions. Indiana's Science Education Strategic Plan partners include: Indiana Department of Education (I-DOE), Indiana Science Technology Engineering Mathematics (I-STEM) Resource Network, BioCrossroads and Eli Lilly and Company. To join in the effort and to learn more about how you can become an advocate, visit www.indianascience.org. Any accredited public or private school may participate in the program - you do not need to be a member of an Educational Service Center (ESC). Summer Professional Development opportunities are provided so that teachers can successfully implement these materials. Please use this form to let the STEM Education Initiative know about your STEM project. Once we are aware of your project, we can assist you in promoting it and in making connections with other STEM project teams. Lumina pursues its goal for increasing the number of Americans who receive college degrees in three ways: by identifying and supporting effective practice, by encouraging effective public policy, and by using our communications and convening capacity to build public will for change. In doing so, the foundation works simultaneously toward three critical outcomes: better pre-college preparation, greater support for student success, and improved productivity in higher education. The foundation has made grants to many colleges, universities, peer foundations, associations and other organizations that work to improve student access and outcomes across the nation. In 2010, the foundation approved nearly 100 grants for a total commitment of nearly $43.4 million. 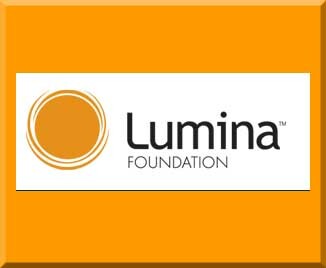 One specific STEM education grant from the Lumina Foundation includes a recent $1,000,000 grant to the The Carnegie Foundation for the Advancement of Teaching. This will support the creation, implementation and continuous improvement of two new mathematical pathways, Mathway and Statway, to address the high failure rate of developmental mathematics students, particularly in community colleges. Through its education grantmaking, the Endowment is interested in and supports a variety of programs and initiatives that enhance the quality of educational experiences for Indiana residents and help them find meaningful and rewarding employment in the state. Its grants benefit a range of students, from those in K-12 schools and Indiana colleges and universities to adult students in community college settings. It funds efforts to strengthen educational institutions and their educational and research programs, enhance the effectiveness and morale of Indiana teachers, provide resources for students to pay for college educations, expand college internship and placement programs, and engage community residents in supporting improvements in the quality of education. The Lilly Endowment is a partner and funder of The I-STEM Resource Network, a partnership of public and private higher education institutions, K-12 schools, business, and government. I-STEM includes committees comprised of educational content experts and practitioners who come together to design and employ programs that address STEM issues. I-STEM works to support K-12 teachers and leaders working to implement high academic standards towards STEM literacy for all students. It also provides Indiana education leaders with new knowledge about teaching and learning. The I-STEM vision is for Indiana to be a national leader in student academic achievement in STEM disciplines and improve the quality of the workforce. In 2010, the Lilly Endowment made a $1.4 million contribution to Central Indiana Corporate Partnership Foundation in Indianapolis for BioCrossroads' charitable, educational and scientific programs. BioCrossroads serves as a catalyst for the continued growth of Indiana's life sciences industry. The organization provides Funding/in-kind resources and support for life sciences businesses and launching new life sciences enterprises, expands partnerships among Indiana's life sciences institutions, promotes science and math education in grades K-12 and builds awareness through the marketing of Indiana's life sciences industry. Lilly Endowment further advances STEM education through its support for the Indiana 4-H Foundation in West Lafayette, Indiana. A $208,000 grant made in 2010 supports new science, engineering, and technology educational initiatives across the state. These Indiana 4-H science initiatives and programs are a response to a growing demand for skilled workers in science fields and are part of the 4-H Science Mission Mandate.